In the 2008-09, Madrid was 12 points and received the club to 4. The last course, the azulgrana had 11 to Atletico, which was put to 5 before going to the Camp Nou. You may have a fair amount of energy for the last load of matches, but if there is something left over in Barça's wardrobe in players who, like Messi, have 33 titles at the club level, it is a matter of experience. 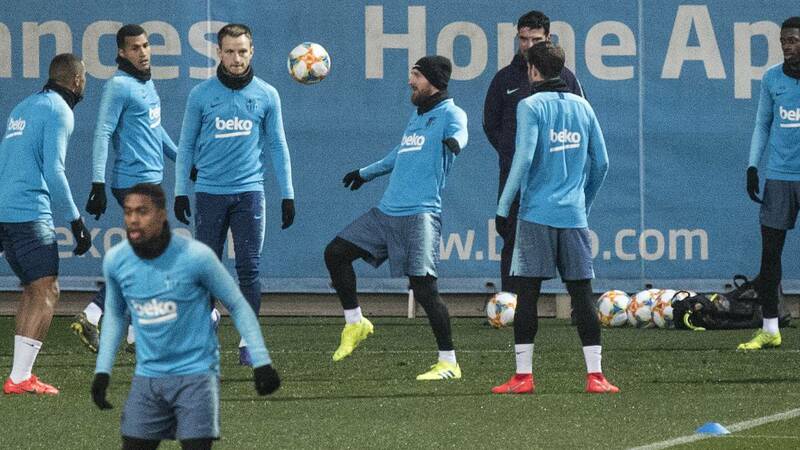 Barça, seven of the last ten Leagues (2009, 2010, 2011, 2013, 2015, 2016, 2018), have seen similar pressure situations in which, it was said, they had to win LaLiga twice after having a wide advantage. Perhaps the most symbolic is that of the 2008-09 season when Barça, after winning Madrid at the Camp Nou at the end of the first round, accumulated up to 12 points difference. Dosed both the distance that Madrid came to the Bernabeu Classic to only four points. That's when Barça stepped on their rival at the Bernabéu. The 2-6 left the championship settled. The closest precedent occurred last season. With Madrid out of competition after the 0-3 at the Bernabéu at the end of the first round, Barca drew 11 points to Atletico Madrid on day 21 of the championship. However, only five days later, the rojiblancos showed up at the Camp Nou on Matchday 27 to only five points after the Barça shots against Espanyol, Getafe and Las Palmas. Messi, with a great goal against Oblak, returned Barça to the comfortable distance of eight points and Barça ended up easily taking LaLiga. Barça has also been able to withstand situations of pressure against Madrid. He did it in the 2009-10 season against the team that then headed Pellegrini. Also in the 2014-15 campaign against Madrid de Ancelotti and in 2015-16 when, after a tremendous crisis that brought Madrid and Atlético closer, they won in the last days Deportivo, Espanyol, Betis and Granada to take the championship . It does not seem that this Barça of players like Messi, Busquets or Piqué is going to panic. He has seen them in all colors.